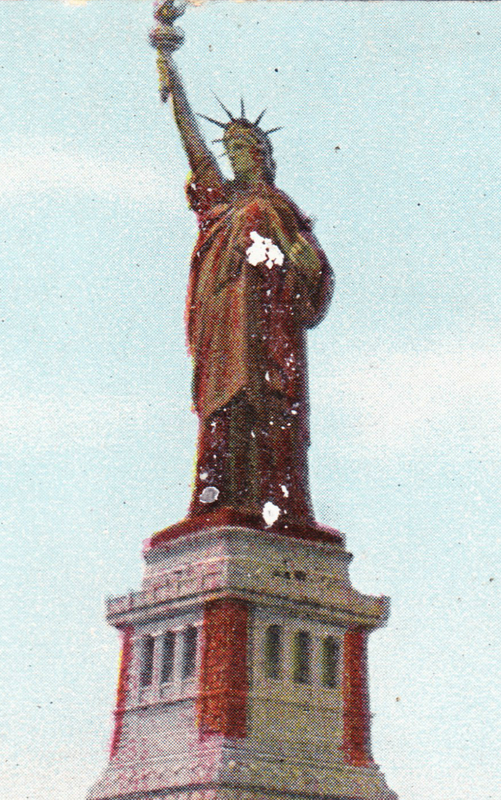 This postcard of the Statue of Liberty (aka Liberty Enlightening the World) was published by Rosin & Co. and printed in Germany. It was postmarked on October 25, 1909, in New York City and mailed to Miss Ethel Montgomery of Portland, Oregon. (I wonder how long that trip took.) The postmark is 23 years, to the week, after the 1886 dedication of the Statue of Liberty. 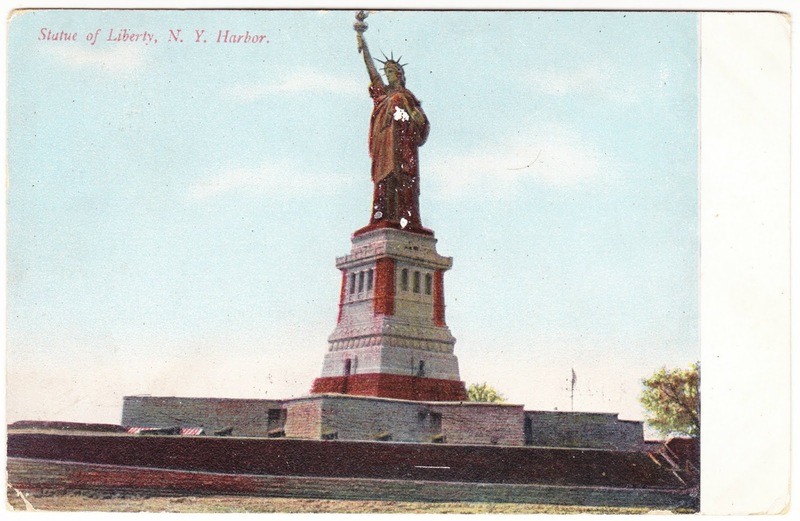 This card was mailed about eight years after oxidation had begun to turn the statue, which was originally copper colored, into the shade of green we are familiar with today. But it probably took quite a while for postcards, many of which were hand-colored, to catch up with the evolving color of Libertas. We received your dear sweet letter this morning while we were eating breakfast. It is the first letter since last Wed. and Ma was home sick Sun. She wanted the hear [?]. With all our love, Ma & Pa [?]"